274 pages | 6 B/W Illus. 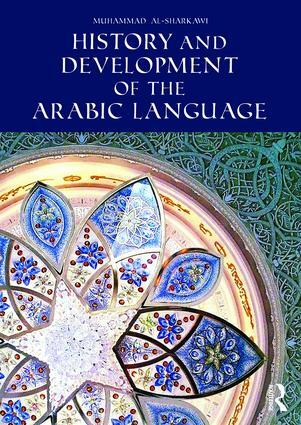 History and Development of the Arabic Language is a general introduction for students to the history of the Arabic language. It is divided into two parts; the pre-Islamic language up to the emergence of the first well-known works of Classical Arabic. Secondly, the transition from the pre-Islamic situation to the complex Arabic language forms after the emergence of Islam and the Arab conquests, both in Arabia and in the diaspora. The book focuses on the pre-Islamic linguistic situation, where the linguistic geography and relevant demographic aspects of pre-Islamic Arabia will be introduced. In addition, the book will also discuss the communicative contexts and varieties of Modern Arabic. The book includes readings, discussion questions and data sets to provide a complete textbook and resource for teachers and students of the history of Arabic. Mohamed El-Sharkawi is Assistant Professor of Arabic at Wayne State University, USA, and was previously lecturer at Brown University, USA.